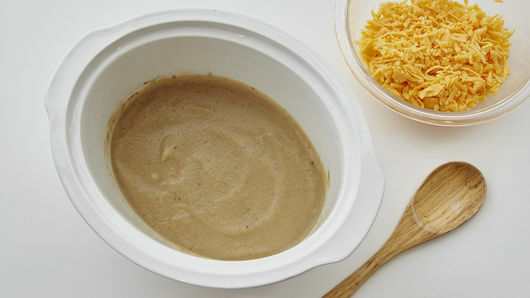 In 3- to 4-quart slow cooker, mix cauliflower, onion, garlic, chicken broth, thyme and pepper. 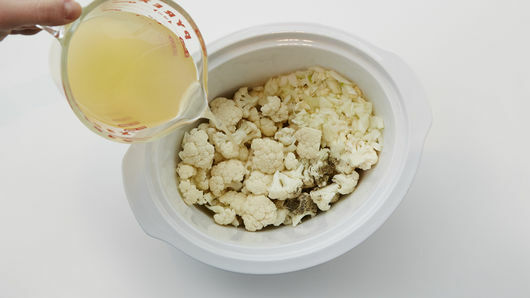 Cover; cook on Low heat setting 5 to 5 1/2 hours or on High heat setting 3 to 3 1/2 hours or until cauliflower is tender. Carefully transfer to blender; blend until pureed and smooth. Return to slow cooker. Stir in cheese. Cover and continue cooking 5 to 10 minutes or until cheese is melted; stir in whipping cream. 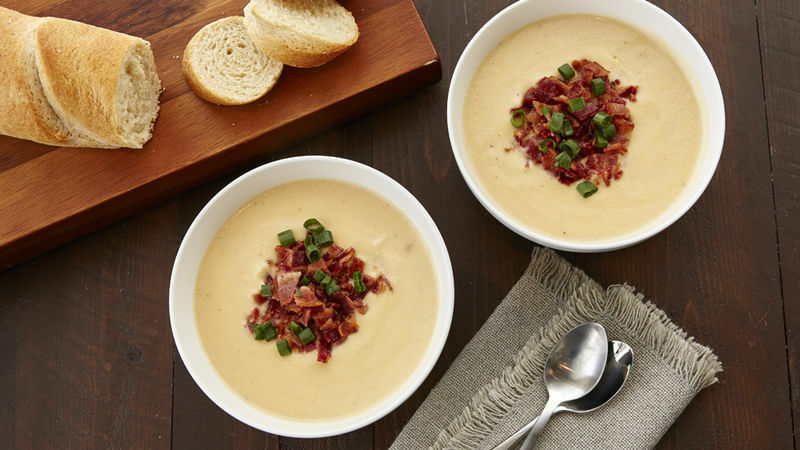 Garnish with bacon and onion. Cauliflower florets can be purchased in bags in the produce section for super simple prep. American cheese can be purchased in blocks from the deli and can be shredded before using in your recipe. When blending hot liquids, it is very important that you do not seal the blender, or you could risk it exploding. Remove the center portion of the blender lid, and loosely cover with kitchen towel instead.